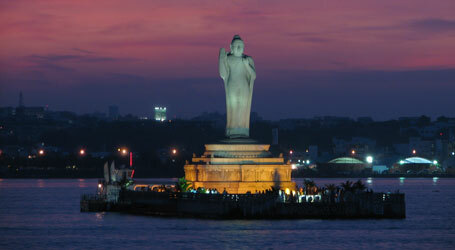 Hyderabad is the fifth largest city of India and the capital of Andhra Pradesh. It is a 400-year-old metropolis and is significantly known for its rich culture, grand history, delicious food and as Information Technology hub. Hyderabad is the treasure of gorgeous mosques, minarets, tombs and palaces. Its biggest attractions are its culture and history. It was founded in the late 16th century by the Qutub Shahi rulers. From the 18th century, it was ruled by the Mughals, and the Nizams of Hyderabad. Under this Mughal rule, Hyderabad became one of the richest cities in India and an historic center for art, culture and education. Recently, with the growing technology, Hyderabad has also become an important technology hub. Recently the city got extended in terms of area and is known as the second biggest city in India and has got a title of “Greater Hyderbad”. Hyderabad city is spread over an area of 260km2 which is located on the Deccan Plateau and rises 536 meters above the sea level at latitude of 17.366⁰N and a longitude of 78.476⁰E. It is located in South Central Zone of Indian Railways and is a major rail junction. Hyderabad is connected through an extensive rail network more than 7030 stations across the length and breadth of the country. 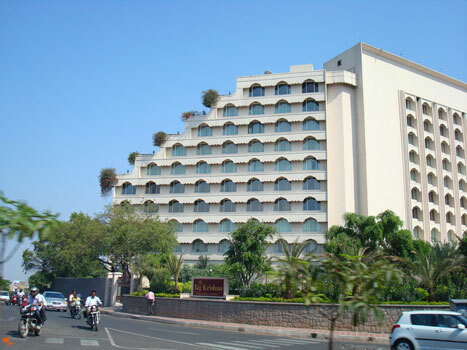 The location of Hyderabad makes it easily accessible to both North and South Indian states. The city has the treasure of unique landscape of rock formations that are almost 2500 years old. The city has red sandy type of soil falling in the seismic zone-I which makes the land least exposed to calamities like earthquakes. The highest point in Hyderabad is Banjara Hills which expands from west to east leading to the creation of a trough near the Musi River that runs through the city. This feature has been advantageous in terms of providing sufficient water supply to the city. Rocky and hilly regions around the city are being destructed for urbanization. The city’s soil type is mainly red sandy with areas of black cotton soil. Hyderabad falls in the seismic zone-II and is seismically least exposed to earthquakes. Hyderabad city has a moderate climate throughout the year. Though it is favorable to visit Hyderabad anytime of the year, there are few seasons in which the city looks at its best and most importantly the visitors can have the best time. The climate is pleasant between October and February. March to May months can be unpleasant due to heavy heat. From July to September, the weather is warm and humid, which is not very pleasant. The days can be hot and dry specially during summers, which goes up to extreme highs of 40°C, while the nights are cool and breezy. Hyderabad has seen heavy rainfall in the recent years. It has a mixture of tropical wet and dry climate that borders on a hot dry climate. The culture of Hyderabad is diversified with a perfect blend of traditional ethos and modern lifestyle. 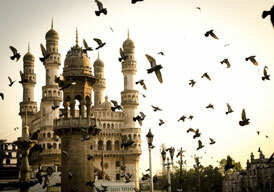 Hyderabad is known as the 'City of Nawabs' and is rich in its culture and history. With a wide variety of mosques, churches, temples, monuments, historic places, food and the arts, the city is known for its rich heritage. The city of Hyderabad is well known for its hospitality and is the one place where you can find a perfect mixture of North and South Indian people belonging to different regions. Many languages like Telugu, Tamil, Malayalam, Hindi, Urdu and Marathi are some of the many languages spoken here. Hyderabad has its own unique culture with the combination of Islamic and Hindu philosophies. People who are from 'Andhra' descent speak Telugu and are called 'Andhraites', whereas, the people who speak vernacular Hindi language, Urdu, are typically known as Hyderabadis. 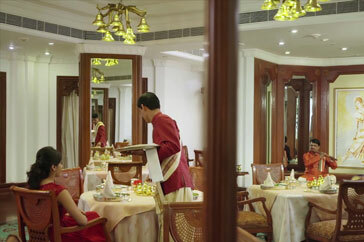 The food in Hyderabad is known for its royal n delicious delicacies. ‘Hyderabadi Biryani’, 'Double Ka Meetha', 'Haleem' and 'Naancut' biscuits are some of the very popular food items found in Hyderabad. Festivals like Diwali, Eid, Dussehra and Christmas are celebrated on a large scale annually. Dance forms like Kathak, whose inception was in the courts of the Mughals and Nawabs, is a very famous dance form in the city, followed by Kuchipudi, Bharatanatyam and Odissi. Hindustani Classical Music and Carnatic Classical Music are also distinct to the traditions and cultures of the city. 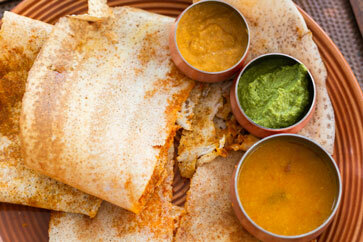 Hyderabad is known for its aesthetic taste in its food varieties. The alleys of Hyderabad are distinguished by the crisp and fragrance of its food and beverage respectively. Some of the famous food delicacies are Hyderabadi Biryani, Hyderbadi Haleem, Phirni, Double ka meetha. The lanes of Secunderabad, Char Minar and Nampally are filled with pungent aromas that fuse typical Andhra cuisine with rich Nizam culinary offering. These lanes are even famous for the best of Hyderabadi Biryani. Paradise is one of the famous places where best of Biryani is being served. The food trail in the city is famous for Irani chai and a buttery-soft Osmania biscuit. Hyderabad remained under the rule of the Qutb Shahi dynasty, established in 1591 for nearly a century before the Mughals captured the region. The Charminar, an exclusive architectural composition in Indo-Saracenic style with open arches and four minarets, is perceived as the supreme achievement of the Qutub Shahi period. The Mecca Mosque, which was built later, can accommodate 10,000 people. The mosque was the site of a bombing attack that killed several Muslims and injured many others in the year 2007. Hyderabad city was built on the banks of Musi River and has grown on its banks. 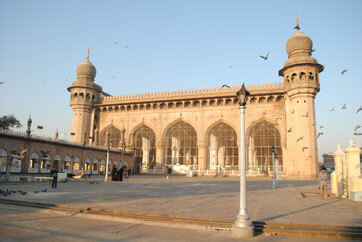 This historic old city also is a house for many historic monuments such as Mecca Masjid and Charminar. There is also a twin city to Hyderabad namely Secunderabad and these cities are located on either side of Hussain Sagar Lake. The Musi River originates from Anantagiri Hills which joins the river Krishna near Wazirabad on which two dams are constructed namely Osman Sagar and Himayat Sagar. The river satisfies the drinking water requirements of Hyderabad city. In 1950 the princely state became the state of Hyderabad in the Indian union. In 1956 the state was split up into the Telangana region (Telugu speaking) and Andhra state to form Andhra Pradesh, with Hyderabad as the capital. Telangana was formed in 2014, after receiving approval for the split from the Indian parliament. It was agreed that Hyderabad would act as capital of both states for a period of up to 10 years to allow Andhra Pradesh to build its own capital. With abundant historic sites, bustling markets, and endless cultural institutions, Mumbai’s many sites of attraction can overwhelm any visitor. Listed below are few of the many attractions you must visit if you happen to be in the city. The Ramoji Film City was set up by Mr. Ramoji Rao, the head of Ramoji group in 1996, and is a very beautiful and entertaining holiday get away with cinematic themes and many other fantasizing activities in the happening city of Hyderabad. It is certified as the World's largest Film studio Complex by the Guinness World Records. Ramoji film city is a proud destination of India that attracts millions of people every year due to its unique and beautiful themes. This Film City can get you indulged in a number of activities ranging from film city tours to adventure sports, toy train rides to a number of gardens. Smaller outlook of famous monuments in the country such as the Amer Palace and other palaces are also present here. Hyderabad Film City is known for handling up to 400 movies per year with its latest fascinating equipment’s for film making. Telugu movies as well as movies in various other languages like Tamil, Kannada, English, Gujarati, Bengali, Oriya, Bhojpuri, Hindi, and Malayalam are made here every year. The pre-designed sets and facilities for shooting, post-production and accommodation makes it very easy and reduces the burden for filmmakers. Chowmahalla Palace is a heritage property of Hyderabad that is known for its exclusive interiors as well as exteriors. Chowmahalla Palace was ruled by the rulers of the Asaf Jahi dynasty. Constructed around 200 years ago, Chowmahalla Palace exhibits exquisite architecture and magnificence. The complex of the palace is a combination of various architectural styles. This architectural masterpiece received Asia Pacific Merit award for a site being that conserved cultural heritage of the region in the year 2010. The palace is now available for a few corporate people and individuals to host important events, musical evenings and special dinners. Chowmahalla Palace spreads in an area of 45 acres, extending from the Laad Bazaar in the north to the Aspan Chowk Road in the south. Today the palace stands over an area of 12 acres. It is a synthesis of Rajasthani, European, Persian and Indo-Sarcenic architectural styles. It is divided into northern and southern courtyards, beautified by beautiful gardens and fountains. Each part of this palace has exhibits delicate designs transuding Nawabi charm. The epic signature of the city, Charminar, is situated in the heart of the old city of Hyderabad, and is one of the most recognized monuments in India which makes for a wonderful sight. It was built in 1591 by Muhammad Quli Qutub Shah and was constructed to commemorate the founding of Hyderabad. Graced by 4 minarets standing almost 50ft in height, it has a mosque and 45 prayer spaces in amongst the famous places in Hyderabad. It is one of the architectural icons in India in the city of Hyderabad. The beautiful monument stands regally tall amidst the colorful bangle shops in the Laad Bazar- a rambunctious shopping street of the old city delivering a beautiful glittering sight after nightfall. It is currently maintained by the Archaeological Survey of India. The Charminar is located on the eastern banks of Musi River with the Makka Masjid built using bricks from Mecca which is another famous Qutub Shahi architecture in the vicinity. Golconda fort is one of the historical places to visit in Hyderabad and is situated in the Western part of the beautiful city of Hyderabad at a distance of about 9 km from Hussain Sagar Lake. 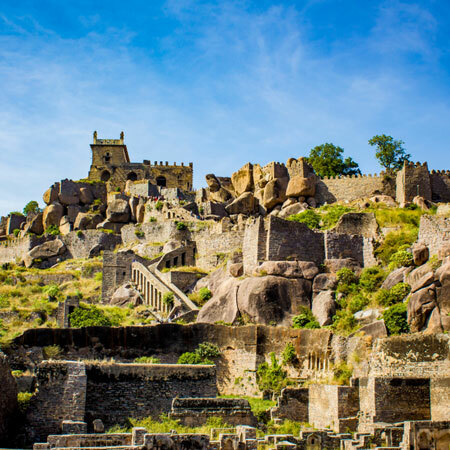 The Golconda fort is spread over an area of three square kilometers which is 4.8 kilometers in length. This fort has derived its name from a Telugu word which means Shepherd’s Hill, and is situated 11km away from Hyderabad. The remains of multiple fortification layers, armories, magazines, mosques, granaries, reservoirs, audience chambers and royal dwellings complement the striking appearance of the fort. The Sound & Light show brings alive the magnificence of one of India’s famous forts. This mighty fort falls in the list of the most amazing fortresses of India. Now it has become a very famous tourist spot. The Golkonda Fort showcases majestic halls, stables, magazines, four drawbridges and mounted cannons. The outermost area of the fort is known as Fateh Darwaza which means Victory gate. Chilkur Balaji temple has a pleasing architecture, featuring as one of the oldest temples in Telangana. The temple is located 30 kilometres from Hyderabad. Chilkur is a small sacred village which is a popular pilgrimage site where the temple is built. The temple is situated on the banks of Osman Sagar Lake, which attracts hordes of devotees from all over the country. 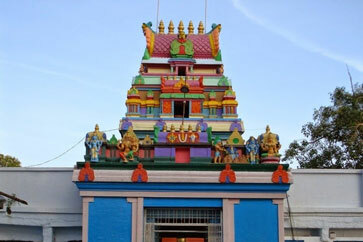 Temple is also popularly known as “Visa Balaji temple”. This temple was built almost five hundred years ago, and is being considered as an alternative of Tirumala temple. The main deity of the temple is Lord Balaji Venkateswara along with Sridevi and Bhoodevi. Here the devotees follow a common pattern. They offer 11 “pradakshinas” and their prayers to the deity. When the wish is granted, they take 108 pradakshinas of the temple to show their gratitude and thank the God. ISKCON temple is known for being some of the most beautiful, active, spiritual and religious temples in the country. 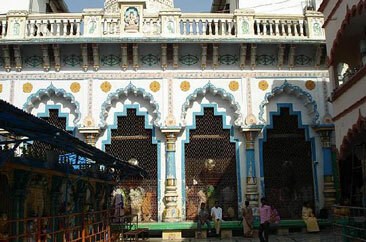 This ISKCON temple is found in the Nampally region in Hyderabad. The main deity in the temple is Lord Krishna. One can also see idols of Sri Gaura-Nitai, Sri Jagannatha Baladeva-Subhadra and Sri Radha Madana-Mohana in the temple. The temple carries out programs of Pujas and Aartis every day while on Sundays, special programs are organized. The architecture of this temple is very impressive. The steps of the temple have various halts that lead to further ends of the temple. Besides the temple, there are shops and beautiful fountains which add to the spirituality of this shrine. Inside the shrine, the sight of idols keeps the person amazed over the godly world. With rich clothes and jewelry, the idols are decked with great delicacy and care. In the center hall, one can always hear the heavenly tune of Hare Rama Hare Krishna. Mecca Masjid is situated in the heart of Hyderabad and has a significant history with Islamic culture which has made Mecca Masjid for believers as well as tourists. It is one of the oldest mosques in India and has the capacity of hosting 10,000 worshippers. The interiors of the mosque with its water features, marble tombs, benches and huge arches is worth admiring. This amazing structure was created by using holy soil from mecca, the holiest site in Islam. The beautiful arches and the intricate minaret designs characterize the outside of the mosque. The hall is massive measuring about 67 meters by 54 meters with a height of about 23 meters. There are 15 beautiful arches supporting the roof. The grand structure, with its granite finishing and huge courtyard wears a Mughal look more than that of Qutub Shah dynasty. Non-Muslims aren’t permitted inside the mosque. For Muslims the mosque is open daily for prayers. Women should cover their heads and all visitors should wear long trousers and shirts as a mark of respect. 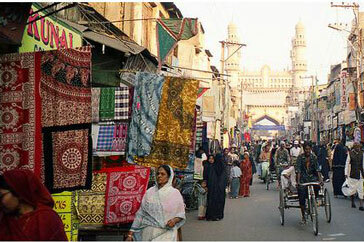 Laad Bazaar is the centuries old market street which is very close to Charminar. It still has the old-world charm and festive spirit in the products sold here, most significantly the bangles. Their vivid sheen and bright colors add a pleasant vibe to the market’s ambience. The bangles here cost as low as Rs. 10 a set for some of the finest Lacquer makes. The Char Minar area of Hyderabad stands out with its agrestic charm. This market is well renowned worldwide for its pearls, especially the Basra Pearl that is adorned with gold and silver. The market is also famous for clothing especially saris, sherwanis, and Hyderabadi Khada dupattas among other variety of products. Apart from the bangles, it is also notable for selling some of the finest khada dupattas and pearls. 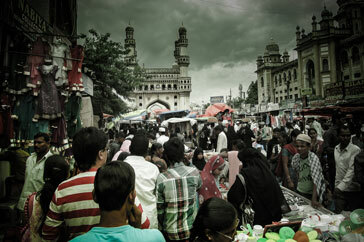 The people of Hyderabad belong to various backgrounds and ethnicities. People from all religions live here with peace and harmony and have a friendly attitude towards immigrants and tourists. People here have worked in all fields like entertainment, business, IT, sports, science and many other fields. Western attire is popular in youths while the natives prefer traditional dresses like ‘sherwani’ or ‘kurta’ for men and ‘salwar kameez’ for women. People here are with diverse cultures because of which it becomes easier for other people to get along with them.In business areas, people are more professional, courteous, are patient, speak good English, more friendly and they are usually ethical in more situations and issues than the average Hyderabadis. From simple Maharashtrian food and local chaats to Chinese and Mughlai, and even authentic Italian and French food, you will find it all in the city that never sleeps. If you are in the mood to tantalize your taste buds, find your excuse to ditch that diet and enjoy the fantastic food that Mumbai has to offer. 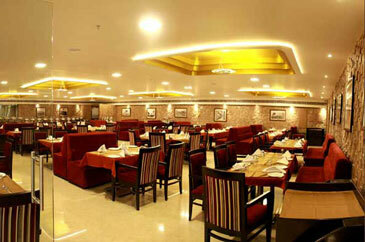 Paradise is a food empire where you can get best of Hyderabadi, Indian and Chinese delicacies. The secret to Paradise’s wild success is the exclusively good biryanis. One of the most frequently visited Paradise spots is the food court located in the district of Secunderabad. It is a multi-level, modern palace which hosts a cafe, a bakery, and al fresco restaurant on the roof. Bawarchi, located at Chikkadpally is also one of the best places to look out for delicious Biryani. Bawarchi is another Hyderabad chain of restaurants that locals love to visit and is famous for rice-based staple. 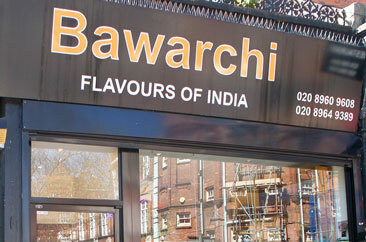 Besides biryani, Bawarchi also serves traditional Asian fare spanning meat dishes, noodles, fried rice and kebabs. Dakshin, located at Greenlands road hotel mainly specializes in South Indian specialties and reflects the significance of sea-inspired dishes through an exclusive variety of fish-based treats. The house’s menu also lists many other scrumptious delicacies of the South, including the delicious traditional Kerala stew. Gufaa, located at Basheer Bagh is known for an unconventional dining experience in Hyderabad. 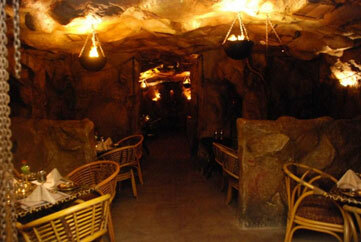 The theme of the restaurant is designed to resemble the inside of a cave. This restaurant has a unique ambience where sculptures of elephant and tiger heads are hung on the walls, with ancient man’s rock drawings. 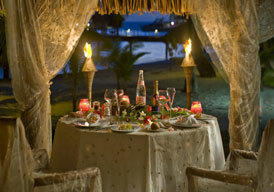 One can sit on the bamboo chairs with zebra-skin cushions and enjoy a meal of tasty Indian fare. Located in Banjara hills, this is possibly the best stop for a typical South-Indian breakfast, where you get the best of South Indian foods like Uttapams, Guntur Idlis, Corn Dosa. Simple South Indian fare with small twists like the Paneer Tikka Dosa make this place stand out from other dosa-offering corners.